This program is two-fold in purpose; first to provide child care while adults in the home are working, and second to provide an environment for learning. It is the goal of the director and staff that by the time your child leaves Preschool, he/she will have all the necessary skills to begin kindergarten. We are aware of, and adhere to the state requirements for kindergarten readiness and incorporate theses standards into our classrooms using High Reach Curriculum. From August – May we are on a regulated learning schedule that includes reading/language, math, science, physical education and arts. Children will learn numbers, shapes, colors, etc. and with all that going on, we are committed to making learning fun. It is our philosophy that for children in preschool much of their learning is done through play and interactive games. 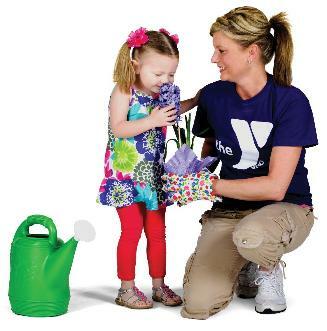 We provide opportunities for crafts, songs, games, swimming, gardening, gymnastics, and occasional field trips. Finally, we will commemorate your child’s accomplishments with a preschool celebration at the end of summer. Typically, we will move children up to the next age group/class in August for the new school year. A morning and afternoon snack is provided. Please bring your child no later than 9:00 am unless he/she has a medical appointment. This will help ensure that your child will be able to participate in the morning curriculum and activities with their home classroom.